Are you in a wine rut? Do you find yourself heading to the same shelf at the LCBO on every visit? It might be time to mix it up and try something new. You don’t, however, have to wander too far from your comfort zone. Here are some options to fit your preferred flavour profile while putting something new on your shopping list. Pinot Grigio is the ubiquitous white wine of our times. Clean, crisp, easy drinking and affordable, it is a go-to wine for many people. If you enjoy Pinot Grigio, you might want to try an Albarino from Rias Baixas in Spain or a Muscadet from the Loire Valley in France. Albarino has similar notes of peach and citrus found in Pinot Grigio with the same zesty freshness. Muscadet is often light, dry and mineral-driven, very refreshing and clean on the palate. Both of these wines are similarly reasonably priced and pair with light seafood dishes or are great on their own as an aperitif. Fans of Sauvignon Blanc’s bright citrus fruit, green grass and puckering acidity will find a friend in both Verdicchio from Le Marche in Italy and Verdejo from Rueda in Spain. Both wines are fresh and crisp, citrus-driven and refreshing. Grown on the Adriatic coast, Verdicchio can have a slight saline finish, making it a perfect accompaniment to seafood. Verdejo often has a complexity on the palate that benefits from a bit of age, taking the sweet citrus fruit to notes of toasted nuts, grass and fennel on the finish. Chardonnay’s versatility is one of its best traits – it can be light, bright, crisp and un-oaked or rich, creamy and toasty or somewhere in-between. If you like oaked Chardonnay, try an oak-aged Bordeaux Blanc, which is a blend of Sauvignon Blanc and Semillon and can be richly textured and bold on the palate. 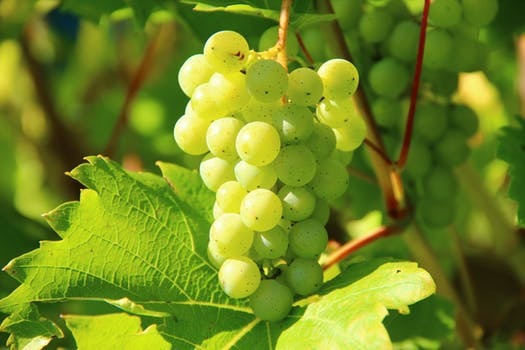 Another option is the Southern Rhone grape Marsanne, which is often blended, usually to give weight and structure to a wine. Un-oaked Marsanne will have a similar weight to un-oaked Chardonnay with subtle notes of almonds, tea and wildflowers. Oaked Marsanne can express sweet notes of vanilla, honey and toast. You can find these wines on the shelves of most LCBO stores. But here’s a hint: two delicious examples are from Niagara. The first is Trius Winery’s Wild Ferment Sauvignon Blanc, a barrel fermented and aged wine that boasts complex flavours of pineapple, passion fruit, mineral and toast. The second is Kew Vineyard’s Marsanne, also barrel aged and showing beautiful notes of tropical fruit, butterscotch and caramel with a bright citrus finish. So cheers to getting out of your comfort zone and not needing to travel too far to do it! Stay tuned for red wine alternatives coming soon. Anjana Viswanatha [Sommelier CAPS, CMS] is the founder of Wednesday Night Wine (www.wednesdaynightwine.ca), the sommelier at Bacchanal in Toronto, a wine instructor at George Brown College and Marketing Manager for Wineries of Niagara-on-the-Lake (www.winieriesofniagaraonthelake.com, @niagarawine on Twitter and Instagram, @wineriesofniagaraonthelake on Facebook). Get in touch with Anjana: anjana@wednesdaynightwine.ca and follow her on Instagram @wednesdaynightwine.